I've been working on these scrap blocks forever but I finally got them all sashed. Now I can start arranging them and filling in the spaces. 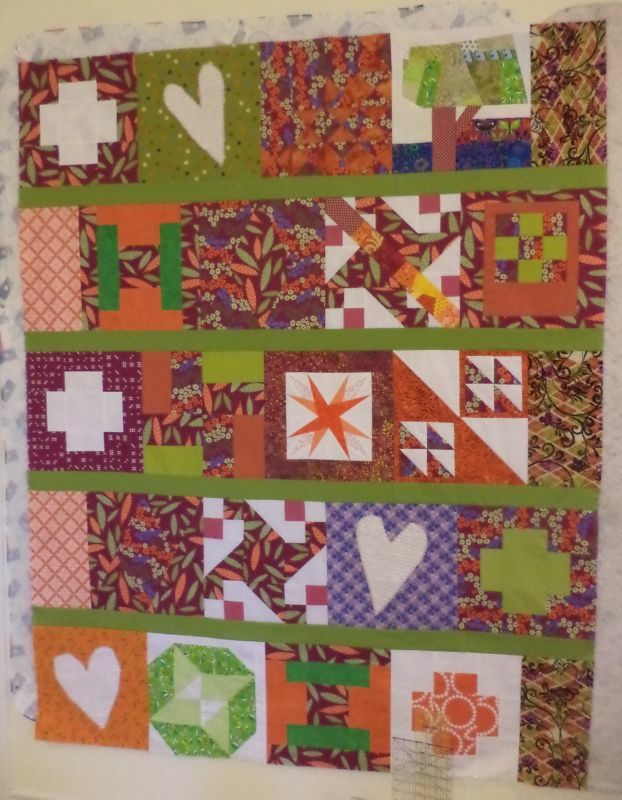 Don't get your hopes up, this phase of the top will probably take a really long time, too :) Meanwhile, I finished the top from the purple and orange blocks the ladies in the Tyler Modern Group gave me Covered in Love. One of the ladies in the group long arms and she's going to quilt this one. Check out Jeriann's business page at AnnieMcHugs.com. I'm really looking forward to seeing what she does. Your crumb blocks look great! I like the layout. Love your rainbow of crumb blocks! 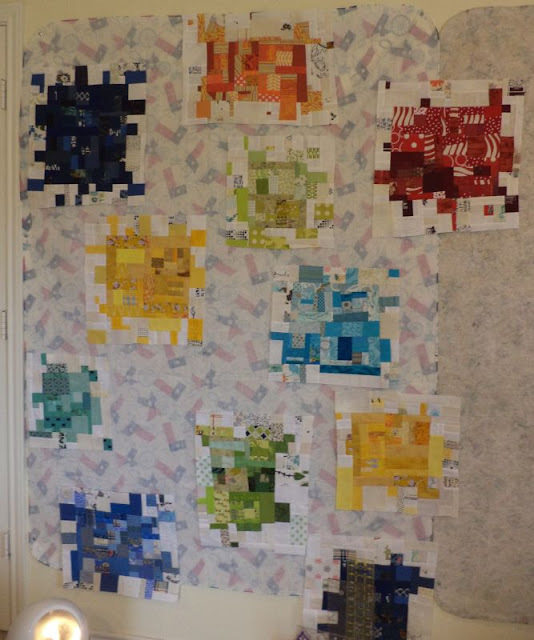 Your 'crumb' blocks look great! I am curious to see what's going in between! I really enjoy seeing your crumb blocks. I think they are a great project for those small pieces. Thanks for sharing with Oh Scrap! Great crumb blocks! Can't wait to see what's next!! Love your crumb blocks. I don't think mine will come out as neat as yours. You are so creative, it's scary. Very nice and colorful crumb blocks you have.